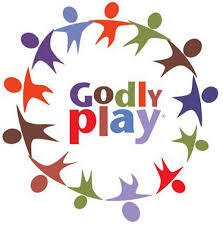 The Children’s Ministry Group in the United Dioceses of Cork , Cloyne and Ross is hosting a ‘Godly Play’ workshop for children’s workers in the Diocese on Saturday, 14th April from 10 a.m. to 1 p.m. in Northridge House Education and Research Centre, Mahon, Cork. ‘Godly Play’ is a creative approach to spiritual education. The trainer on the day will be Cora O’Farrell who is a Godly Play trainer with Godly Play Ireland. She uses Godly Play in her work with student teachers at the Institute of Education, DCU. Have you ever wondered how to tell Bible stories to children? Have you ever longed to really make the stories meaningful and memorable? Those of us in children’s ministry in churches and schools may be the only people telling this treasure trove of stories to children. Do you want fresh inspiration, some new ideas and a creative way of telling stories? Not alone, you will also get fresh insights into some of the great stories for yourself. Godly Play provides a unique way of working with children and adults. It is rooted in Montessori principles and is practised in various contexts and in several countries throughout the world. This workshop will offer participants an experience of Godly Play thorough presentations from its four genres of sacred story, parable, liturgy and silence. There will also be input on the underpinnings of Godly Play and how to get started in the method. This entry was posted in Announcements, Children's Ministry, Children's Work, Education, Fresh Expressions, Godly Play, Lay Ministry, Northridge House Education and Research Centre. Bookmark the permalink.